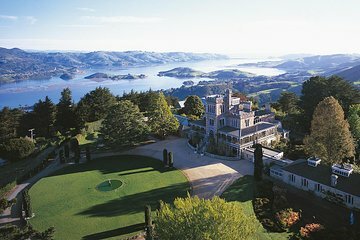 Utforsk Dunedin og Otago-halvøya på en hel dags utflukt som inkluderer Larnach Castle & Gardens og Speight's Brewery, to av regionens toppdestinasjoner. Med en erfaren guide for å lede veien, vil du oppdage den fascinerende byen Dunedin, gå tilbake i tid på New Zealands eneste slott, og besøk et historisk arbeidsbryggeri med dype sørlige røtter. Denne 6,5-timers tur inkluderer alle inngangsbillett og guidede turer, samt pickup og drop-off på Port Chalmers. Great tour. the tour guide was highly knowledgable of the arear and provided a lot of information aboout the local sights. The scenery while travelling from the elected locations was beautiful. 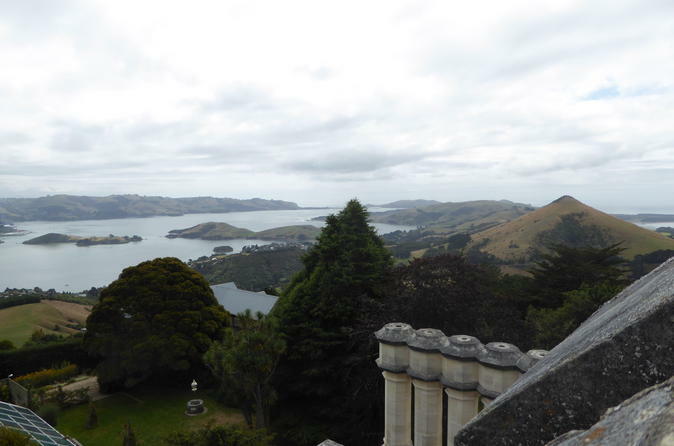 The drive to Larnach Castle was accompanied by spectacular scenery of Dunedin and the surrounds. The Larnarch Castle tour was very interesting. Our tour guide was a brilliant narrator and brought the history of the castle alive. The gardens are beautiful and vast and the cafe/dining area provides great coffee, refreshments along with a good menu choice. The Spleights Brewery tour was also very interesting and provided our group with the history of bear making in the region right through to the present day. The samples at the end of the tour were very generous. This tour is a must, particularly if you are arriving in Dunedin via cruise ship and have a limited amount of time to see Dunedin. You won’t be disappointed. Enjoyed the tour, but wish we had more time at the Railway Station and Octagon. Didn't need as much time at the Larnach Castle Gardens, although they were beautiful to walk through. The tour of Speight's Brewery was informative and a lot of fun, thanks to the tour guide. Our Viator tour guide was friendly and knowledgeable about the area, and the tour started promptly and returned us to the ship on time. The tour of the castle and grounds was quite interesting.... and how can you go wrong with a brewery tour?!? Cheers! We so lucked out with weather on this cruise, and our Dunedin tour, including the Castle and brewery was amazing. After touring the castle and the outstanding gardens, we had a great fish and chip lunch at the castle, and then topped it off with a great tour of the Speight's Brewery, followed by a tasting experience not to be compared anywhere. Help yourself, and we did. Great tour guides, both our driver, and at the brewery. Thanks for a great day. Fantastic day trip which cost about half what the ship was charging for the same intinerary. Picked up on time at the port and shown some city highlights before heading to Larnach Castle. The inside of the castle is amasing and the history of the Larnach family very interesting. Traveled back into town and then did a guided tour of Speights brewery followed by a beer tasting. Made it back to to the ship with about 20 minutes to spare. Over all it was an excellent day and the bus driver was friendly, helpful and very informative. The castle is very beautiful and has rich history. Beautiful views from the hills. Although I'm not a beer drinker prefer wine, I found the brewery tour very interesting, and we tasted several beers, some of which I liked! The men in the tour thoroughly enjoyed it. The brewery tour is a must for beer lovers! Eight of us Booked the Tour,the Guide was absolutely Tops,Sorry forgot his Name,We had a great tour around the City to the Brewery and up to the Castle had some Lunch and was so impressed with the Restoration that had been done since we were there 20 years ago.If you are in Dunedin don't miss the Castle,and the History of the Original owner is to die for,I brought the Book on the Castle,very interesting. The views from the Roads are very very good an the City is such a lovely place to Browse around.Had a tour of the brewery and a Taste quite a few actually,of the Local Beer Boy was that Good,.a Great Day had by all.